There’s a human being assigned to your Yearbook from day one. You can reach them by phone and email, any time. 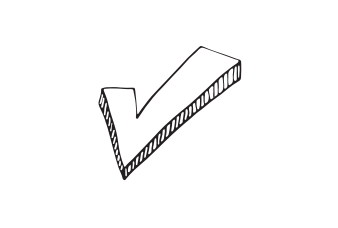 They’re on hand to help every day, and will handle your project with care from start to finish. What we provide at Fizz Yearbooks is unlike anything else. We don’t work from boring, restrictive templates. Instead, our design experts craft everything from scratch, so you end up with your dream Yearbook. 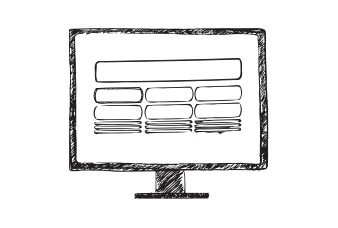 Fizz will manage all of your content, and design every page. There’s not a slow, super-complicated online system in sight! At Fizz you deal with people, not machines. Fizz will handle all of the difficult jobs for you. We’ll even type up your student messages for free! 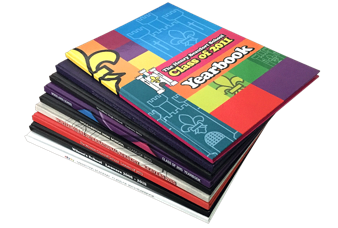 Fizz Yearbooks will give you everything you need to promote, and collect orders for your Yearbooks, including posters for school! Fizz will type up your student comments for free, and based on your exact requirements, build every page in your Yearbook for you. Our simple process will save you hours…and hours…and hours! 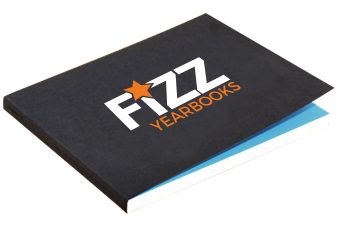 Unlike books produced online, Fizz Yearbooks are full size A4. This means more space on each page for more of your photos and memories. Fizz Yearbooks are printed and bound to literally last a lifetime. Our stress free service takes care of quality control and delivery right to your door. You can sit back and relax while Fizz take care of it all. Not only do you have complete control over the look and content of your Fizz Yearbook, if you have a special event such as Prom, which you want to include, we can make it happen. Online Yearbook-builders are sold as fun, quick and easy, but many schools come to Fizz after starting their Yearbook online because they aren’t all they’re cracked up to be: the design tools are restrictive, the interface is poor and the process is time-consuming. Our way of working eliminates these problems. Whilst you are always in charge, the Fizz team take on all of the hard work so you don’t have to. Simply get the info to us, and we’ll create an extra special, totally unique Yearbook…and you can take all of the credit!